The garden takes a big step forward the day you pick out your plants at the nursery, doesn't it? Suddenly going from no columbine flowers to these gorgeous lavender specimens . 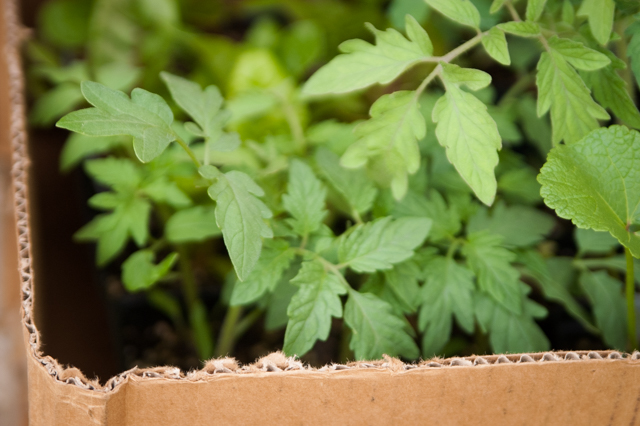 . . or from no tomato plants to a boxful . . . . I also found bare-root blackberry vines for $2.50 each so I got enough to finish going around the garden. And the spaces I had dug for dogwoods under the kitchen window? Filled now. So very beautiful! 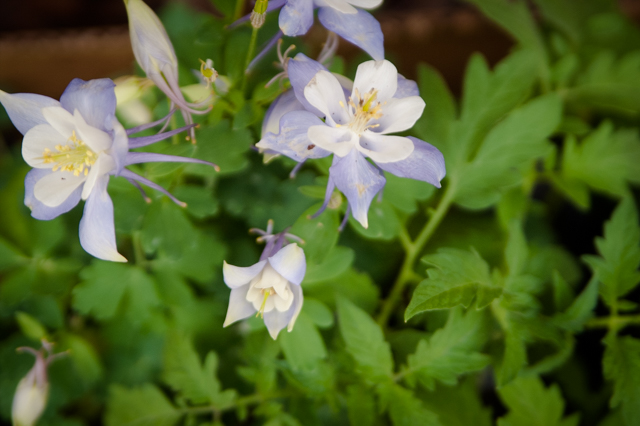 My grandma always had columbine. They always make me think of her. Our day is coming soon, I hope. We've moved to the north in January of this year, (and I'm a born and bred southern girl.). My internal clock thinks that the week after Easter is the time to put in your garden, but I'm going to have to adjust to a new timetable now. I'll sure enjoy it when it gets here! You must live further south than I do. Frost tonight in the mountains of east Tennessee !